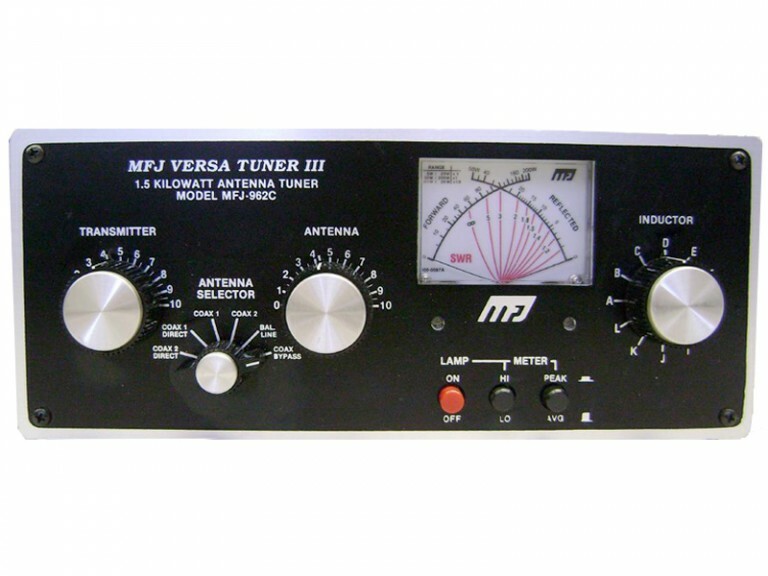 The MFJ948 covers 1.8-30 MHz, with lighted cross-needle meter. 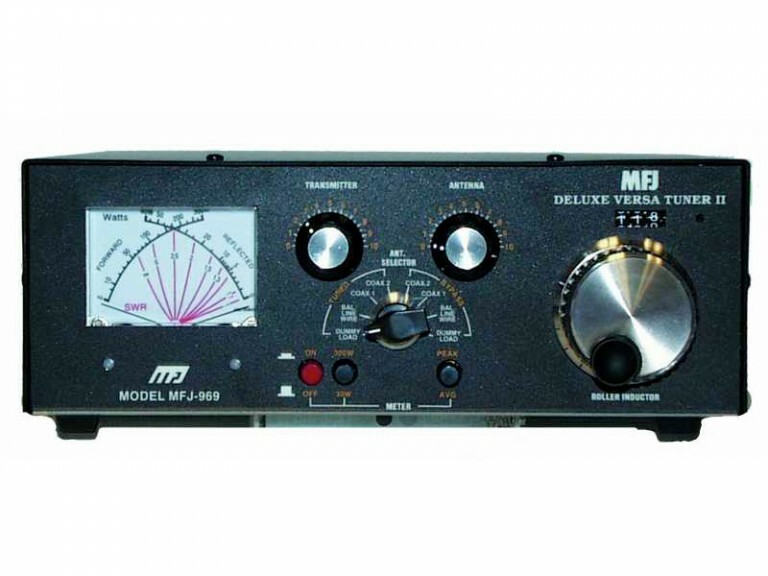 MFJ-948’s have been highly refined and have years of proven reliability. 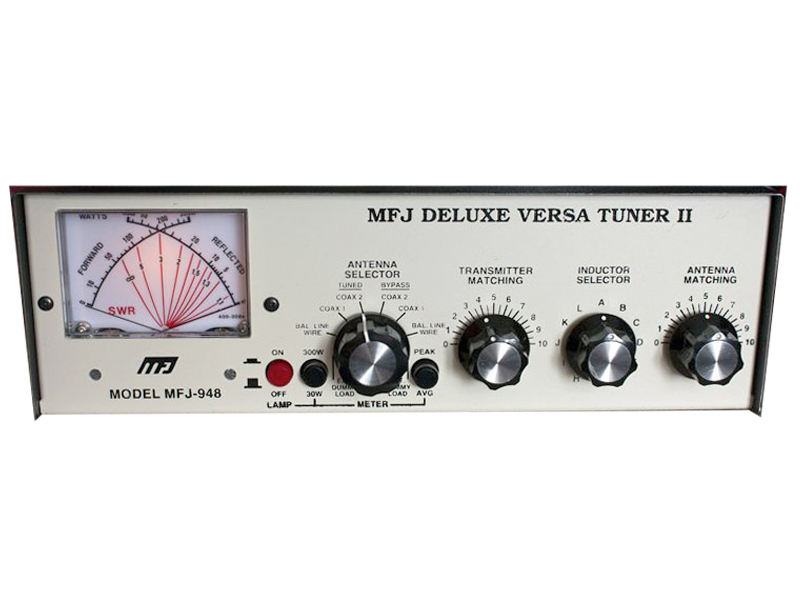 Now the latest MFJ-948 gives you even more features and more value than ever. watts from 1.8 to 30 MHz. simultaneously. It reads both peak and average power on 300 or 30 watt ranges. 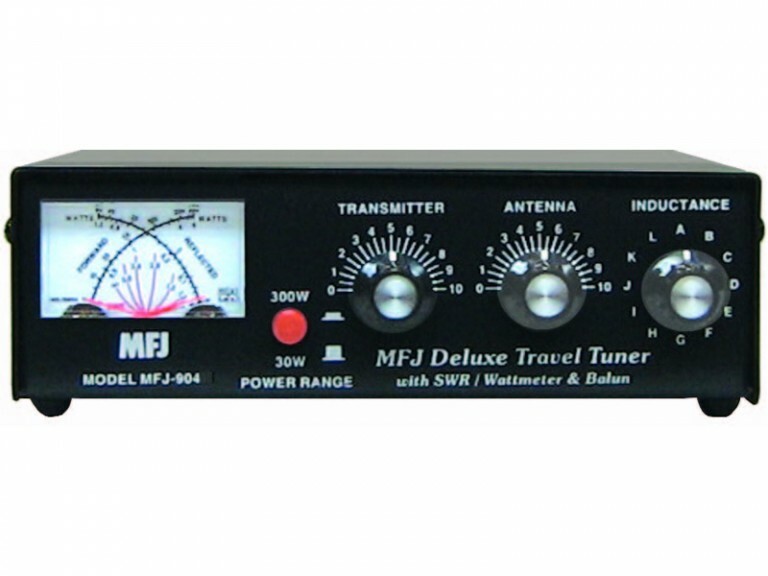 The MFJ-949E tunes out SWR on dipoles, verticals, inverted vees, random wires, beams, mobile whips, shortwave receiving antennas . . . nearly anything! Use coax feed, random wire or balanced lines. Has oversized heavy duty 4:1 balun. 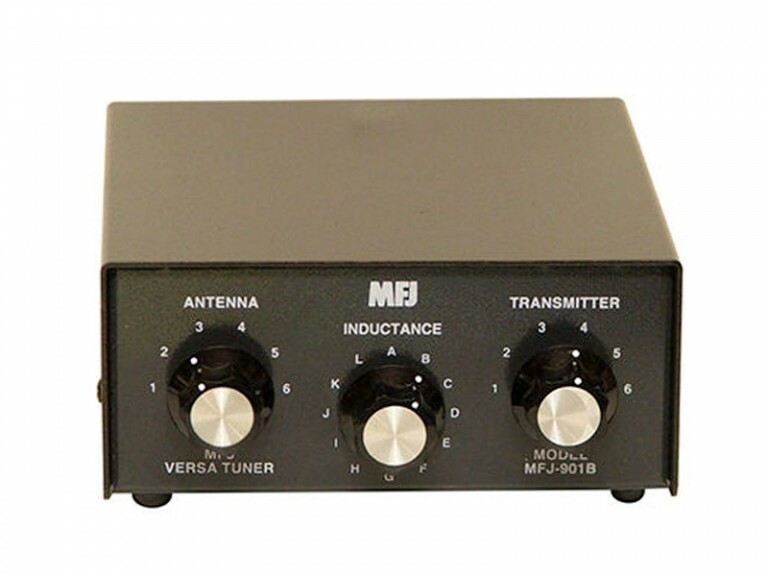 MFJ’s 8 position super antenna switch lets you select two coax fed antennas, random wire/balanced line or built-in dummy load for use through your MFJ-949E or direct to your transceiver. The inductor switch is the most likely component to burn up in any antenna tuner. 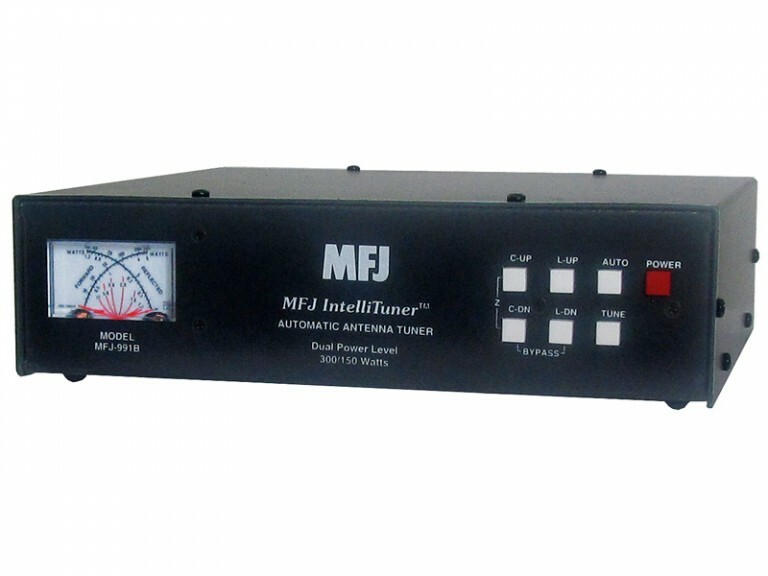 The inductor switch in the MFJ-949E was custom designed to withstand the extremely high RF voltages and currents that are developed in your tuner. Each MFJ-948 cabinet is chemically treated and has a new tough scratch-proof vinyl cladding — not paint that can scratch or chip off. You won’t find a tougher, longer lasting finish anywhere. Detailed logging scales and legends are permanently silk screened on a real aluminum front panel and back panel. 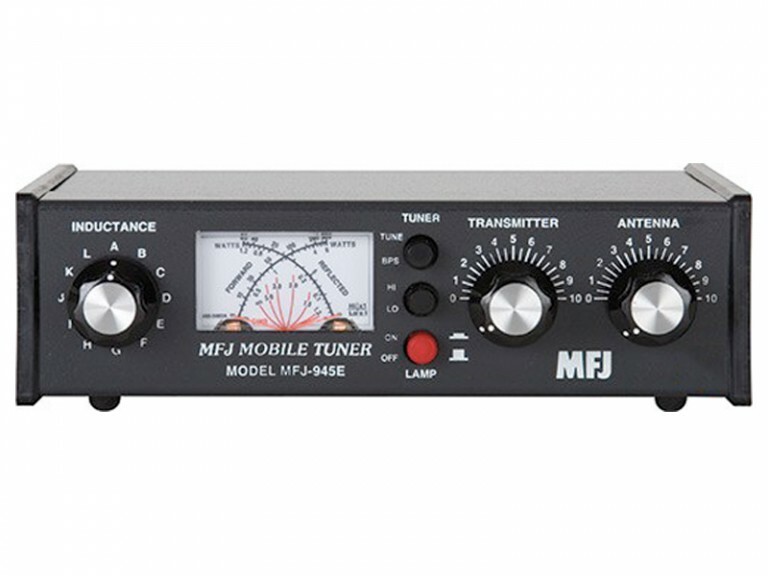 Every MFJ-948 use Teflon® insulating washers, countersunk screws for meter bracket, wing-nut for ground post, fire-retardant epoxy glass PC board, heavy .063 inch thick aluminum chassis, heavy gauge wire used throughout, and a custom cabinet.